Eagles guitarist and founding member Glenn Frey has died at the age of 67. “It is with the heaviest of hearts that we announce the passing of our comrade, Eagles founder, Glenn Frey, in New York City on Monday, January 18th, 2016,” said the band in a statement. “Glenn fought a courageous battle for the past several weeks but, sadly, succumbed to complications from Rheumatoid Arthritis, Acute Ulcerative Colitis and Pneumonia. “The Frey family would like to thank everyone who joined Glenn to fight this fight and hoped and prayed for his recovery. The Eagles postponed plans to attend the 2015 Kennedy Center Honors last month as Frey underwent major surgery for the health issue. "He was like a brother to me; we were family, and like most families, there was some dysfunction,” said Eagles drummer and vocalist Don Henley. “But, the bond we forged 45 years ago was never broken, even during the 14 years that the Eagles were dissolved. We were two young men who made the pilgrimage to Los Angeles with the same dream: to make our mark in the music industry -- and with perseverance, a deep love of music, our alliance with other great musicians and our manager, Irving Azoff, we built something that has lasted longer than anyone could have dreamed. “But, Glenn was the one who started it all. He was the spark plug, the man with the plan. He had an encyclopedic knowledge of popular music and a work ethic that wouldn't quit. He was funny, bullheaded, mercurial, generous, deeply talented and driven. He loved his wife and kids more than anything. “We are all in a state of shock, disbelief and profound sorrow. We brought our two-year 'History of the Eagles Tour' to a triumphant close at the end of July and now he is gone. 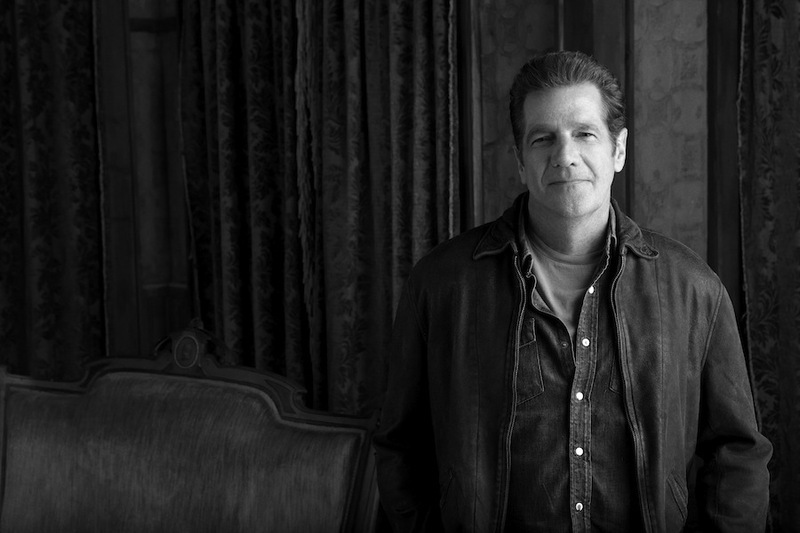 “I'm not sure I believe in fate, but I know that crossing paths with Glenn Lewis Frey in 1970 changed my life forever, and it eventually had an impact on the lives of millions of other people all over the planet. It will be very strange going forward in a world without him in it. But, I will be grateful, every day, that he was in my life. “Rest in peace, my brother. You did what you set out to do, and then some." The Eagles were formed in Los Angeles in 1971 by Frey, Henley, Bernie Leadon and Randy Meisner. With few lineup changes, the group went on to become one of the world's best-selling bands of all time with more than 150 million records sold and were inducted into the Rock And Roll Hall Of Fame in 1998. Frey sang lead vocals on Eagles classics like "Take It Easy", "Peaceful Easy Feeling", "Tequila Sunrise", "Already Gone", "Lyin' Eyes", "New Kid in Town" and "Heartache Tonight." The guitarist also scored a pair of solo hits in the 1980s, including “The Heat Is On” from the Beverly Hills Cop soundtrack and “You Belong To The City” from TV’s Miami Vice.